Primary Teacher Job Result 2018 | www.dpe.gov.bd. Primary Assistant Teacher Job process under the project PEDP-3 by Directorate of Primary Education (DPE) has been started. Directorate of Primary Education (DPE) has been published recruitment of Primary Assistant Teacher under the Ministry of Primary and Mass Education. Primary Teacher job online application system started on 23rd September 2018 and continue up to 22nd October 2018 at 11:59 pm. Directorate of Primary Education every year published recruitment of Primary Teacher this job is very popular in Bangladesh. This year around 30,000 new primary assistant teachers will be appointed and where pre-primary 16,000 teachers will be appointed, said -Directorate of Primary Education. Primary Teacher Job Circular 2018. Primary Education recruited primary school teacher under Ministry of primary and mass education sector this primary school teacher recruit start 23rd September 2018 and continue up to 22nd October 2018. Most of the people of Bangladesh are apply for primary school teacher post. This Primary school teacher recruiting test will be at the same time and same date. Directorate of Primary Education (DPE) under this post name is the third primary education development program (PEDP-3). dpe.gov.bd Primary Assistant Teacher also conducted the ministry of primary and mass education this recruitment at the same time apply general public and freedom fighter quota those who are eligible age limit thirty and freedom fighter quota age limit thirty-two. Save the USER ID and Password. Primary Assistant Teacher Job Circular Online Apply. Third Primary Education Development Program (PEDP-3) name of Primary Education Primary Assistant Teacher Written Exam will be held on the end of January 2019. dpe.gov.bd Primary Assistant Teacher Written Exam tests recruit the teachers for primary schools started concurrently in 61 districts of Bangladesh (Except the Three Hill Districts) at 10 am on Friday, 2018. The aspirants were to answer objective questions for 80 marks in 80 minutes. Directorate of Primary Education every year published recruitment of Primary Assistant Teacher this job is very popular in Bangladesh. This year total post of Assistant Teacher of Primary School Teachers fourteen thousand eight hundred fifty-eight of the sixty-one district except for three hill districts. Recruitment of primary school teacher result published within very short time this result published Directorate of Primary Education (DPE) own website and also published this site so if you want to your result then always visit this site and kept your eye content of this site. This year Eleven Lac Ninety Thousand aspirants took the test for the 14,858 posts of assistant teachers in primary schools across the country. Directorate of primary education published final result of PEDP-3, Senior Computer Operator, Computer Operator, and Assistant Accountant. This website contains information on all activities of Primary Education in Bangladesh. This exam schedule published was Daily Shamokal, Daily Kalerkontho and Daily Independent Newspaper on 31st July 2018. 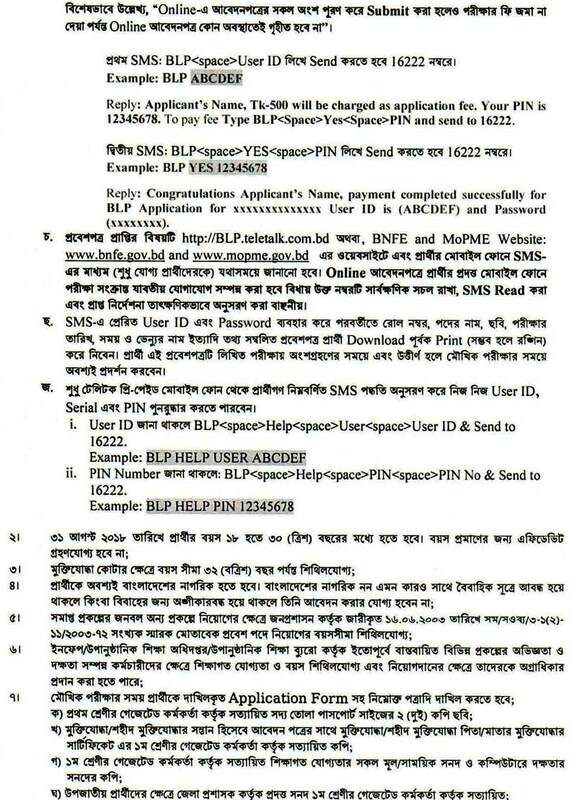 This website also published Senior Computer Operator, Computer Operator, and Assistant Accountant final result of PEDP-3 under dpe.gov.bd. Directorate of Primary Education (DPE) under this post name is the third primary education development program (PEDP-3). dpe.gov.bd Primary Assistant Teacher also conducted the ministry of primary and mass education this recruitment at the same time apply general public and freedom fighter quota those who are eligible age limit thirty and freedom fighter quota age limit thirty-two. This program (PEDP-3) Senior Computer Operator, Computer Operator, and Assistant Accountant total successful candidates are ninety-six. Directorate of primary education published dpe.gov.bd Directorate of primary education published final result of PEDP-3, Senior Computer Operator, Computer Operator, and Assistant Accountant. This program (PEDP-3) Senior Computer Operator, Computer Operator, and Assistant Accountant total successful candidates are ninety-six. The aspirants were to answer objective questions for 80 marks in 80 minutes. Directorate of Primary Education every year published recruitment of Primary Assistant Teacher this job is very popular in Bangladesh. Welcome to the Directorate of primary education. This website contains information on all activities of Primary Education in Bangladesh. Primary Teacher job online application system started on 1st August 2018 and continue up to 30th August 2018 at 11:59 pm. Directorate of Primary Education (DPE) every year published the recruitment of Primary Teacher this job is very popular in Bangladesh. This year around 30,000 new primary assistant teachers will be appointed and where pre-primary 16,000 teachers will be appointed, said -Directorate of Primary Education. Primary Teacher Job Circular 2018.